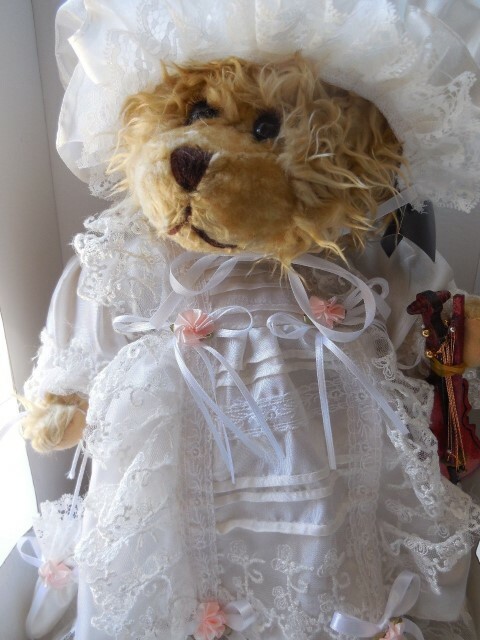 A beautiful collector bear wearing a vintage dress with lace and matching bonnet, and carrying parasol and violin. Approx. 35.5cm tall. 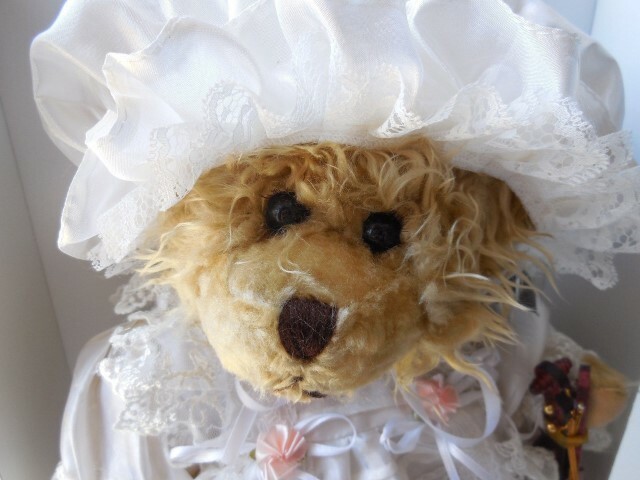 Each bear is lovingly designed and hand crafted. 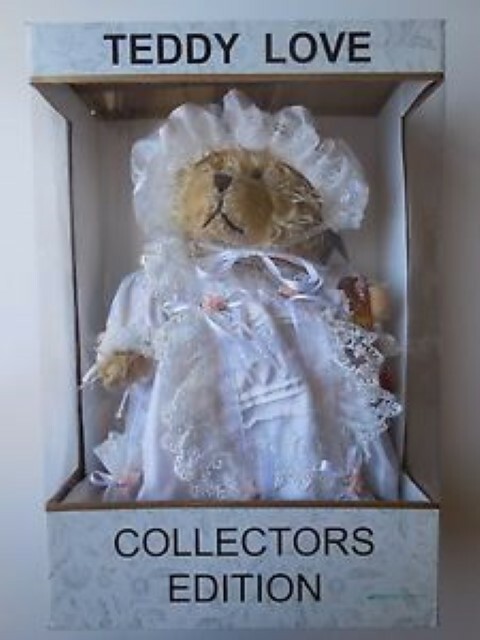 Comes with Authourised Collector Certificate. Limited to 500 pcs made for Australia and New Zealand.